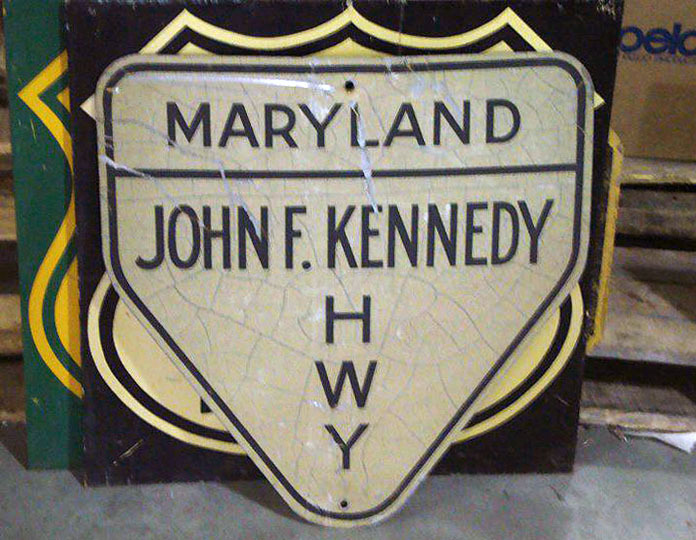 1965 specification highway marker. Manufactured between 1965 and 1980. At a Maryland sign shop. Photo by Patrick Arndt, 2010.